After World War I, rubber prices on the international markets dropped sharply. As a consequence, the Government of the United Kingdom, the country that at the time dominated the world production of rubber, introduced measures which restricted the supply of rubber on the world market. These measures became known as the Stevenson Plan and went into force on January 1, 1922. US interests were adversely affected by this protectionist scheme as a penny per pound increase in the price of rubber meant a financial loss of $ 8 million for the US economy. The American economy at this time absorbed approximately two thirds of the world’s rubber output. US industries, notably the automobile industry, needed increasing quantities of this raw material. One American rubber manufacturer became so indignant with the British Government that he introduced the slogan “America must grow its own rubber.” It was Harvey S. Firestone from Akron, Ohio. In West Africa Firestone found what he was looking for. In the only independent country in that region – Liberia – he found a tropical and very humid climate – ideal for the growing of rubber - , a seemingly abundant and cheap labour force, and a Government which was eager to offer a concession in exchange for US protection against colonial neighbours who were impatient to annex the tiny, weak republic. Negotiations between Firestone and the Liberian Government went smooth but after the draft concession agreement had been approved by the National Legislature, Firestone suddenly introduced a new clause. This so-called Clause K made realization of the agreement dependent on the condition that the Liberian Government would also take a $ 5 million loan from his company. Conditions of this loan were to be exactly the same as the controversial $ 5 million loan which President Daniel Howard in 1918 had obtained from the US Government but which had been rejected by the US Congress. In Liberia the 1918 loan proposal had aroused many objections since critics feared that it would turn the country in an American administrated territory with only nominal political independence. Firestone’s proposal aroused widespread protests, both inside and outside the country. The internal opposition denied the need for another loan. But Firestone insisted that Liberia should take a loan from him. Liberia owed more than one million dollars, an enormous amount in those days, to British bankers. Firestone wanted to eliminate this situation that could easily become a pretext for the British Government to interfere in Liberian affairs. Also, he wanted some political control over the Liberian Government because of the long-term nature of the investment. The US Government was interested in and supported Firstone’s plans which included a promise to construct a major port. Firestone did not need a port to export the rubber from Liberia but merely proposed it to get the approval and support of the US State department which was particularly interested in a port on the West African coast as a station for naval use. Under pressure of the US State Department, the Liberian Government, represented by its Secretary of State Edwin Barclay, continued the negotiations which eventually lead to the 1926 Firestone Concession Agreement and two additional agreements. Firestone had won. He obtained a one million acre concession for a 99-year period, was granted the exclusive rights (!) upon the lands selected, and became - with only few, small, exceptions - exempted of all present and future taxes. Thus, Firestone acquired virtually unlimited rights over an area equal to 4 per cent of the country’s territory and nearly 10 per cent of what was considered the arable land in the country. Moreover, Firestone lent $ 5 million to the Liberian Government through a wholly-owned and especially for this purpose created subsidiary, the Finance Corporation of Liberia. The $ 5 million Loan put Liberia virtually under control of US administrators and supervisors. An American Financial Advisor appointed by the US Government controlled the Republic’s finance and had to approve the country’s budget every year. But the most striking and important consequence of this Loan was that the Liberian Government was now forbidden to contract new loans without the written consent of the Finance Corporation of America, i.e. Firestone. Firestone’s obligations were very limited. The Liberian Government, on the other hand, accepted several conditions besides the ones just mentioned which turned Liberia de facto into an American protectorate. The Liberian Government also promised that it would encourage, support or assist the efforts of the Firestone company to maintain an adequate labour supply. Firestone had foreseen complications in recruiting labourers and cleverly introduced this commitment. In those days, the monetary economy was absent outside the coastal areas where the Americo-Liberian elite lived. The majority of the tribal peoples of the Hinterland, where the rubber plantations were planned, did not participate in Liberia’s small modern monetary economy. They still used traditional means of exchange, the so-called Kissi-money. Eventually, this situation would lead to the forced recruitment of labour as was described by the Christy-report (1930) which led to the resignment of President Charles King and his Vice-president, Allen N. Yancy. When the bill granting the Firestone Concession was introduced in the National Legislature for approval it met with tremendous opposition. However, President Charles King, former President Arthur Barclay, Secretary of State Edwin Barclay, and Senator William Tubman staunchly advocated the bill. Interestingly, former President Arthur Barclay and Senator Wlliam Tubman had been hired meanwhile by Harvey Firestone as his company’s lawyers in Liberia. Eventually, the bill granting the Firestone Company unprecedented privileges in Liberia was passed. “The greatest concession of its kind ever made”, as Harvey Firestone qualified it, was realized. One of Liberia’s oldest disputes, whether or not to make use of foreign capital in the development of the country, was re-vived as a result of the Firestone Concession Agreement. President King’s position was that the country now had an Open Door Policy. His ideas were not uncontested. Notably the exclusive character of the Concession Agreement with Firestone was mentioned by King’s opponents to be incompatible with the classical idea of an Open Door Policy. President Charles King won the 1927 presidential elections that became known as the most fraudulent elections ever reported in world history. The following year, the defeated Presidential candidate, Faulkner, accused the King Administration of permitting slavery, slave trade and forced labour within the borders of the Republic. Worse, he also stated that certain highly placed government officials were engaged in the forced shipping of labourers to the Spanish island of Fernando Poo. He also accused them of making use of the Liberian Army (called Frontier Force) to achieve this. The accused government officials were Charles King, President of the Republic and Standard-Bearer of the True Whig Party (TWP), the country’s ruling political party; Samuel A. Ross, the Secretary-General of the TWP and Postmaster-General, and Vice-President Allen N. Yancy. After Faulkner’s accusations a wave of international reactions followed and a Committee of the League of Nations was established to examine the allegations. 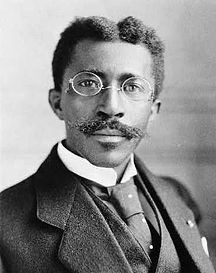 The Committee was composed of Dr Cuthbert Christy, an Englishman (representing the League of Nations), Charles S.A. Johnson, an Afro-American (representing the USA), and former Liberian president Arthur Barclay (representing Liberia). Slavery as defined by the Anti-Slavery Convention, in fact, does not exist in this Republic. Shipment to Fernando Poo and Gabon is associated with slavery because the method of recruiting carries compulsion with it. Persons holding official positions have illegally misused their office in recruiting with the aid of the Liberian Frontier Force. Labour for private purposes is forcibly impressed by the Government, and used in the Firestone Plantations. Following the publication of the report, the House of Representatives started the procedure to impeach President King who hastily resigned. He thus escaped a public trial as the Liberian Constitution reads: ‘No person shall be held to answer for a capital or infamous crime, except in case of impeachment.’ Vice-President Yancy made the same decision – defended and advised by his cousin, the lawyer William Tubman (who became President in 1944). The third high-ranking Liberian involved, Samuel A., Ross, had died in the beginning of the year. Secretary of State Edwin Barclay succeeded King. Not only Americo-Liberian government officials had benefited from the fruits of foreced labour. A large foreign enterprise, Firestone, was also involved, as the Christy-report stated. For that reason, since the US Government had supported Harvey Firestone’s plans and ambitions from the beginning of his operations, certain Liberians also criticized the US Government, like Clarence L. Simpson, Vice-President under Tubman (1944 – 51). Prior to Firestone’s arrival in Liberia the employment in the monetary sector of the economy was practically limited to the civil service and a small number of trading companies. A few hundred people were employed by the Government, virtually all recruited from the ranks of the Americo-Liberians. After 1926, the only employer of significance was Firestone. This company employed more than 10,000 labourers on its plantations in 1930. According to official government sources however, more than 8,500 had not come to work for Firestone voluntarily. The recruitment system that supplied Firestone with tens of thousands labourers continued until the early 1960s. In August 1961 the Government of Portugal – in retaliation of Liberia’s staunch anti-colonial position – filed a complaint with the International Labour Organization (ILO) concerning the observance of the Liberian Government of the Forced Labour Convention of 1950. Before the Commission which had been appointed by the ILO to investigate the complaint published its findings in 1963, the Liberian Legislature hastily enacted a law regulating the recruitment of labour in Liberia (1962). It was then only that the recruitment system that had supplied Firestone since 1926 with labourers became outlawed.